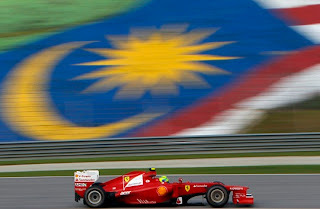 Round 2 of the 2012 Formula 1 saw the teams travel to Kuala Lumpur, Malaysia. The conditions were hot after FP3 and heading into Qualifying with an ambient temperature of 30degrees. Despite this the typical Malaysian weather offered a chance of rain but it never appeared throughout any part of the session and let the cars run in full dry set up. The first qualifying session saw rookie Jean-Eric Vergne drop out in P18 after he severely locked his front right tyre heading into the final corner of his out lap. The flat spot was so obvious you could physically see the vibrations from the option tyre (medium compound) on the Frenchman's on board camera. Vergne was joined by both Caterham's, Marussia's & HRT's who this weekend successfully qualified in the 107% rule. This means the Spanish team will have both drivers racing tomorrow despite the teams vocal worries about there ability to finish the entire race distance. Heading into Q2 Felipe Massa was already under pressure due to his late escape from dropping out in the first session. The Brazilian driver completed multiple runs on the option tyre briefly holding a place in the top 10 but once again failed to get through and finished P12. Pastor Maldonado will be feeling disappointed after showing great pace in FP3 & Q1. 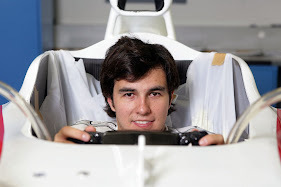 The Venezuelan Williams driver had a hair raising moment when on his first timed run in Q2. Maldonado ran wide at turn 10 after the rear of his car stepped out. 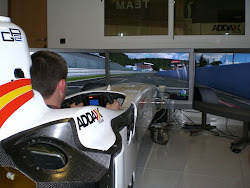 The 2010 GP2 champion managed to avoid the barriers and returned to the track. Pastor finished a disappointed P11 but has good options for tomorrows race strategy. Felipe & Pastor were joined by the two Sahara Force India's, the remaining Toro Rosso & the Sauber Ferrari of Japanese driver Kamui Kobayashi. All of these drivers will be feeling they had the potential to enter Q3 but this is how tightly contested the field is this year. 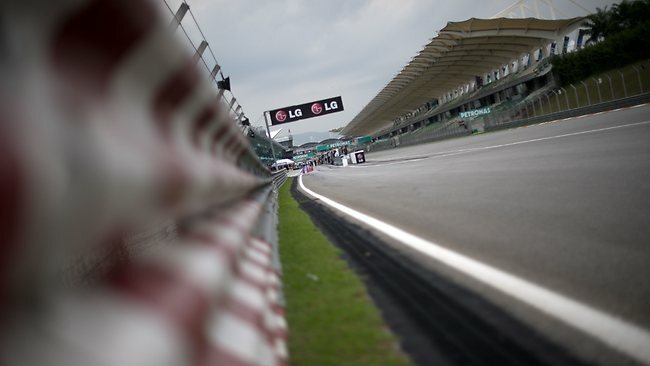 Q3 saw a dramatic fight for pole with Lewis Hamilton setting the time for P1 on his first run an amazing 0.6seconds in front of Jenson Button after the first set of times. Kimi Raikkonen was P3 0.2seconds behind Button but the Lotus Renault driver had made several errors on his lap, so could go faster. 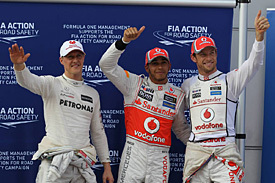 Both Mercedes only produced 1 timed lap along with Mexican Sergio Perez & Fernando Alonso of Ferrari. 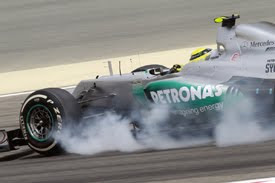 Rosberg's qualifying time was compromised with a flat spotted tyre after turn 1. This will also hurt him going into the first stint tomorrow. Schumacher was able to briefly hold P2 splitting the McLarens. Perez & Alonso collected the last two posistions of P10 & P9. The second round of laps came and saw Raikkonen, Webber & Vettel improve. Critically Vettel is on the prime tyre (hard compound) which means tomorrow his lap time will be slightly slower, but he will be able to go longer into the first stint. 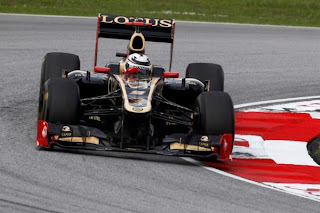 Kimi was up into P5 but will take a 5 place grid penalty after a gearbox change deemed necessary by Lotus Renault. 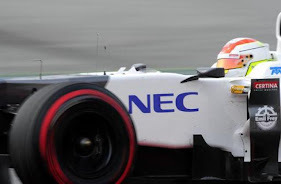 This left Button to jump up into P2 and complete the second front row lock out for McLaren this season. Both drivers will head into tomorrow confident of a race victory but they need to be wary of both Red Bulls, Mercedes, Lotus Renault's & surely the always impressive Fernando Alonso in the struggling Ferrari.